Deborah Vogel is a movement analyst, neuromuscular expert and co-founder of the Center for Dance Medicine in New York City. She is the director of The Body Series. Ask Deb: How Do I Loosen My Upper Back Without a Foam Roller? Q: Do you have any suggestions/stretches for loosening the upper-back muscles other than foam rolling? I don't feel like it's doing enough for me. Ask Deb: How Do I Correct Hyperextended Knees? Q: My daughter was recently told that her hyperextended knees are causing her hips to sway out, which is inhibiting her ability to get over on the box of her pointe shoes. She had a significant growth spurt in the past year, could this be part of the problem? Can things be corrected, and what kind of time frame am I looking at? Ask Deb: What Could Be Behind a Pinching Pain in the Calves? Q: I have a student who isn't pressing her heels into the floor when she pliés, because she feel a pinch in her calves. What can she do for this problem? 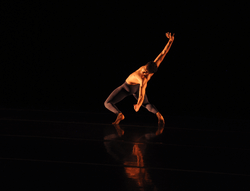 Ask Deb: How Can I Better Help a Dancer Diagnosed With a Spinal Stress Fracture? Q: A student in my class has been diagnosed with a stress fracture in her spine. She's dancing to her limits and is in physiotherapy, but I want to know if there's anything I can do to help. Q: Why can't some of my dancers keep their heels down while in demi-plié? Ask Deb: Will Wearing Teacher Shoes Help Relieve Achilles Tendon Pain? Q: I'm an older dancer/teacher and have some pain under my heel bone and Achilles tendon. I feel it most in the mornings and when I'm walking down stairs. Would wearing teacher shoes with heels help me? Ask Deb: As a New Dancer in My 40s, How Much Turnout Can I Expect? Q: I'm in my 40s and have been taking ballet for four years. How much turnout can I expect? I am flexible enough to touch the floor with my legs straight.